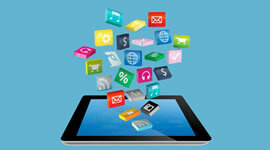 WE DEVELOP AFFORDABLE WEBSITES & CUSTOM MOBILE APPS. If you need a site that is interactive, informative, dynamic, data driven or e-commerce based, we have solutions for all your online marketing. By providing superior and custom design solutions targeted for your industry we are able to offer impressions that produce the right results. Our attention to detail, paired with a results oriented approach enables us create a ‘User Experience’ that is highly effective. Whether you know it or not, your website is constantly evaluated and compared to those of your competitors. Everyone visiting your website should be able to easily navigate and find what they are looking for effortlessly across your website. We design websites that are user friendly and very easy to navigate. We understand how important it is for users to be able to find exactly what they’re looking for in the shortest time possible. No matter the complexity of your project or services, we make sure that every piece of information is accessible with a few mouse clicks. We are constantly evolving with the ever changing standards of website development. As desktop browsing is now giving way to mobile and tablet usage, we have stayed ahead of the game – focusing on the evolution of user experience and providing our clients with a product that offers the most return on their investment. From Apple’s iOS to Microsoft’s Windows to Google’s Android, our progressive mindset enables us to quickly adapt to the needs of all computer and mobile device platforms effectively. With an emphasis placed on branding and online marketing, we ensure that every opportunity to gain a competitive advantage is fully realized. As we learn about your brand and industry, we analyze your content to achieve high ranking results among the top tier search engines, generating leads and converting leads into sales. 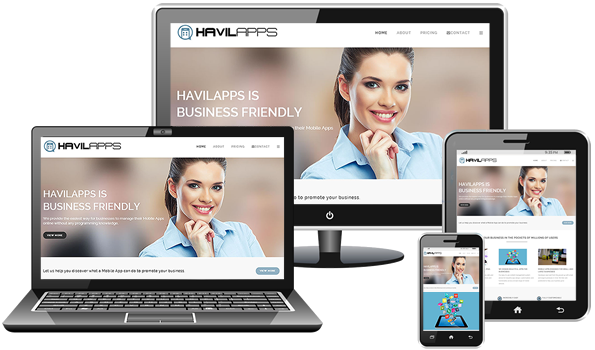 There is no template that will fit your business better than a custom site from Havilwebapps. Our easy to use CMS allows for beautiful app customization and functionality across a broad range of mobile devices like iPhone, iPad and Android. Start by making a selection from our very affordable web design packages. We have packages for every budget…Basic, Professional, Business or eCommerce. After making a package selection and completing your order, we will send you and email containing information on where and how to send your content materials. Our developers will start to build your website as soon as we receive your order and content materials. Should we however have any questions during the design process, we will let you know right away. Once development is completed, we will send you a link to preview the website before it is deployed to our Production environment. After you have reviewed the website and you are satisfied with the design, we could then go ahead and send us an approval to Publish the website to the World Wide Web. We will publish your website to the World Wide Web as soon as we receive your approval notification. The process of getting your website up and running is that easy and straight forward.